You might have noticed a new update today for the Facebook app on your iOS or Android device. The update brings a new feature called "Nearby" to the social network. The new feature allows you to see places near you that your friends have visited, liked, or have recommended. Sure, it's not anything that you haven't seen from other apps, but it does have the advantage of being accessible to Facebook's large contingent of users. With the feature, you will be able to make recommendations and rate places yourself. 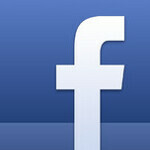 Facebook says that the new feature is an "early release" and that the technology will improve as more people use it. Facebook also adds that it will add third party recommendations to the service as well. So if you want to know which local places your Facebook pals suggest, you can update your iOS or Android app now. This isn't new. This use to be around back in my OG Droid days.